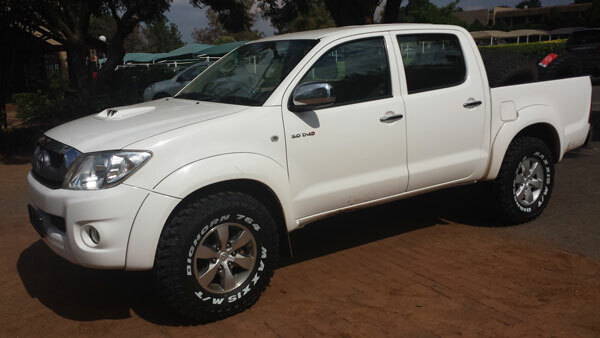 Team Kwagga is proud to announce that we have a new towing vehicle, a 2011 Hilux 3.0 D-4D 4x4, see picture attached. I bought the vehicle from Imperial Toyota in Randburg on Monday and I was blown away by the level of service I received from them, highly recommended! Today I fitted a decent set of tyres as a first and very critical step in personalising it, don’t those Maxxis Bighorn MT764’s just look the part! Thanks to Jon Wen at Maxxis for a sweet deal on those tyres, we come a long way Jon and I and Team Kwagga plan to make him proud of us this season! Again! Arno and I hope that the money we save on the fuel bill to drag Kwagga to all the events and back can be ploughed back in to make Kwagga even more formidable!